The actor will present his latest film Savages in Zabaltegi Pearls. This Donostia Award presentation ceremony will take place on 23rd September at Kursaal Auditorium. 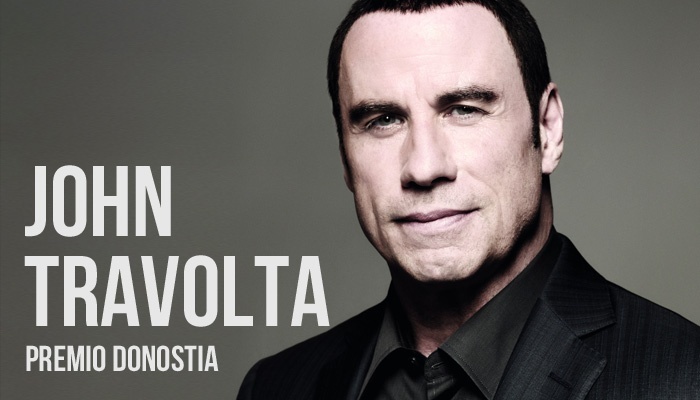 The 60th edition of the San Sebastian Festival  will this year bestow one of its Donostia Awards on the actor John Travolta, alongside the other two already announced for Ewan McGregor and Tommy Lee Jones  and the Special 60th Anniversary Donostia Award going to director Oliver Stone . The San Sebastian Festival wishes to celebrate its 60th edition by granting its Donostia and Special 60th Anniversary Awards to outstanding personalities from the world of film, who will receive a tribute for lifelong achievement and forever link their names to the San Sebastian competition by participating in this special celebration. John Travolta has been nominated twice for an Academy Award, one of which was for his brilliant portrayal of a philosophising hit-man in Quentin Tarantino’sPulp Fiction (1994). The part also earned him a BAFTA nomination, a Golden Globe, and the Los Angeles Film Critics Association Award for Best Actor. He was highly acclaimed once again for his part of mob member turned film producer in Get Shorty (1996), for which he won the Golden Globe for Best Actor in a Motion Picture (Comedy or Musical). In 1998, he received the BAFTA Britannia Award for Excellence in Film and the Chicago Festival’s Lifetime Achievement Award. He also won the prestigious Alan J. Pakula Award granted by the Critics Broadcast Association for his role in Steven Zaillian’s A Civil Action(1998). He landed a Golden Globe nomination for Mike Nichols’ Primary Colors (1998), and yet again for the sixth time in 2008 for his hit role in Hairspray. From his long list of films we would highlight Saturday Night Fever (1977), origin of the disco phenomenon in the 70s, which earned him his first Academy Award and his first Golden Globe. He went on to star in Grease (1978), the film version of the famous musical, and the huge success Urban Cowboy (1980), also influential on popular culture. Other of his films are the two thrillers by Brian De Palma, Carrie (1976) and Blow Out (1981); the comedies Look Who’s Talking (1989) by Amy Heckerling and Michael (1996), by Nora Ephron; Phenomenon (1996), by Jon Turteltaub; Broken Arrow (1996) by John Woo; Face/Off (1997), also by John Woo and with Nicolas Cage, and The General’s Daughter (1999), with Madeleine Stowe. In 2005 he once again climbed into the skin of the ex-mob member Chili Palmer in the sequel Be Cool. We also saw him in the acclaimed A Song for Bobby Long (2004) with Scarlett Johansson. In February 2011, the German review Horzü paid tribute to him in Berlin with the prestigious Golden Camera Award for Best International Actor.